lovely comments. and thanks Don. ha, the bathers. in-camera double exposure, automatic exposure adjustment. I'm so disturbed. I keep thinking they're teeth. Dang, I went by this too fast. Luckily Don didn't. Great use of "break the rules". Congratulations on the ph blue. A fabulously creative and interesting shot - underrated in my opinion! I love what you've done here - great use of permission to break a rule. The result is interest-holding and aesthetically pleasing. Top 3. Expressive, coherent mess -- and satisfyingly so. Two different captures? Very cool effect, though, I like it. Weird. But I like the colors in the image. 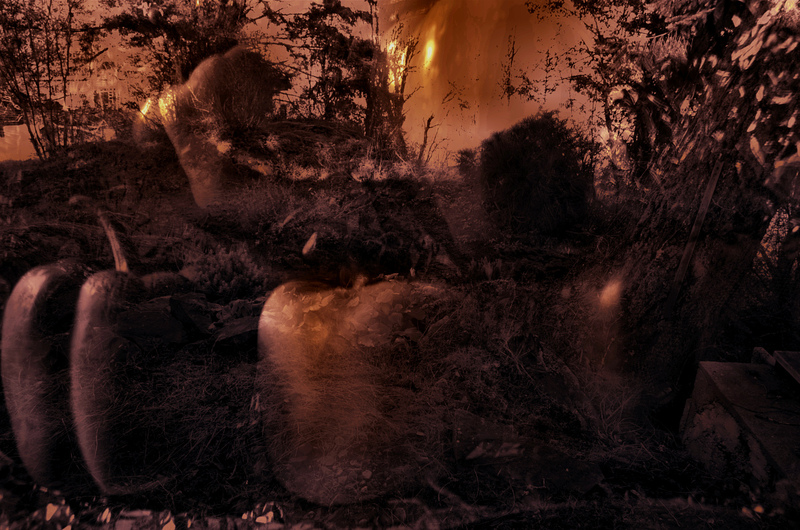 A composite of two photographs creating something new, and quite interesting! Proudly hosted by Sargasso Networks. Current Server Time: 04/20/2019 10:59:37 PM EDT.